Outdoor hanging planters can add warm and inviting character to an entranceway, balcony or patio. A lovely place for shade-loving plants in hanging baskets is a garden walkway between homes or townhouses. Any stable structure that can hold the weight of a fully planted, watered planter, can be enhanced by the color and foliage. Be creative in finding places to hang your planters, a tree branch or an arbor can look wonderful with a cascade of flowers and leaves. You can create a wonderful intimate ‘garden room’ using hanging baskets to enclose your patio, balcony, or even an area in your garden. Planter hangers are available to mount your baskets on vertical surfaces such as a wall or fence, or to hang from horizontal structures such as eaves or arbors. 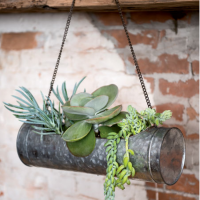 Hanging planters require a little extra care to keep them at their best. Frequent, sometimes twice-a-day watering may be necessary in the hottest part of the summer. 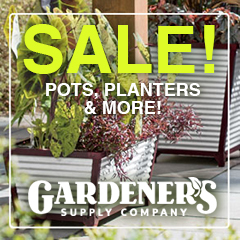 In addition, these planters require more frequent fertilizing than your standing garden planters to keep them flowering, and to keep the foliage lush and green. 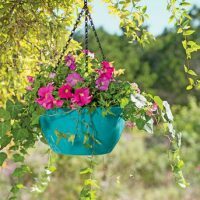 There are two common approaches to feeding hanging planters—feed once a week with a fertilizer specifically for hanging baskets, or another method is to feed every second watering, or possibly every watering, with a less concentrated mix of fertilizer. The best approach is to experiment, watch the results and adjust your feeding accordingly. Planter mixes tend to be lighter and less able to retain moisture and more frequent waterings tend to wash away much-needed nutrients. 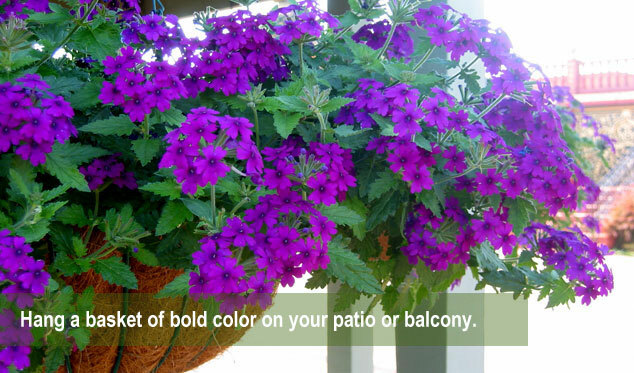 Using a soil mix designed especially for containers is a key to successful hanging baskets. It is also very important to allow good air circulation for your hanging planters and to maintain deadheading throughout the season to keep the plants looking healthy, vibrant and keep them flowering.